I don’t give 5-star reviews often, but this one earned all 5 stars for me. I’d never read Practical Magic, but had seen and loved the movie and it’s been on my TBR list forever. When I had the opportunity to read this prequel, it just made sense to read it first, and I’m so happy I did. I loved reading about the girls who would become “The Aunts”, and about their equally interesting (and talented) brother. This book is evocative and fascinating and heartbreaking and, well, just lovely. As I read it, I knew I’d be diving into Practical Magic as soon as I was done - and that’s exactly what I did. There were a couple of interesting disconnects between their stories in the prequel and what was said about them in the second book. But that didn’t make me love this book any less. I highly recommend it. Copy provided by Netgalley and Simon & Schuster in exchange for an unbiased review. 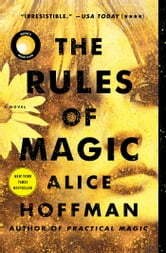 The rules of magic is a very good read. I couldn't put it down , yet, I felt it was lacking. It felt hurried especially near the end. The story was somewhat predictable; edging on cheesy, however, I was drawn to all the characters and the imagery the author infuses into the story. The author makes me want a house like the Owens's. I loved the movie Practical Magic. If you haven't seen this gem starring Sandra Bullock, then you need to go do it right now. 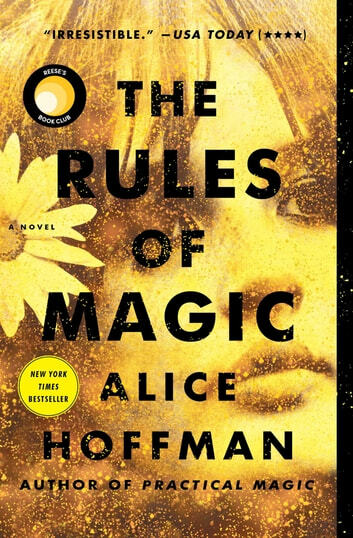 The Rules of Magic takes you to the generations before the movie where we can see how the curse began, almost ended, and set the stage for the current members of the Owens family. The focus of the story is on Franny, Jet, and Vincent. A generation raised to hide from their magical heritage - after all, if you ignore it, then it must not exist. But the children can't resist giving in to the magic inside them. Traveling to their Aunt's house, they begin to learn about their family history - it's quite fascinating, and I really enjoyed the looks back in time. As the children grow older, then struggle to avoid falling in the love and triggering the family curse. Here is where we see the ultimate struggle. How can someone not love? The siblings struggle as they grow up and do that very thing - fall in love. But the curse is triggered, and things quickly go downhill. But this isn't just a story about a curse and the death of love. Jet was my favorite of the three, and her reactions to the events of life really stood out to me. She was the flicker of hope and possible salvation that carries the story into the movie. Don't look at this as just a prequel. It a beautiful story on its own that is so very much worth reading. What a beautiful story! I loved the movie Practical Magic and got really excited when I found there was a book! Then I found this book. This story is mostly about love and family. It gives insight into the lives a the Aunt's and into Gillian and Sally. If you loved Practical Magic, you will love this book!